Last week, I wrote about a new book that proposes a variety of life, body, and brain hacks to make us more persuasive. That book is written by Amy Cuddy, one of the top TED speakers of all time. I think the lessons she teaches are incredibly valuable for litigators looking to maximize persuasiveness during their opening statements. So, you might ask, what makes a good TED Talk a great one? After all, some TED Talks have tens of millions of views, while others on equally interesting topics have far fewer views. 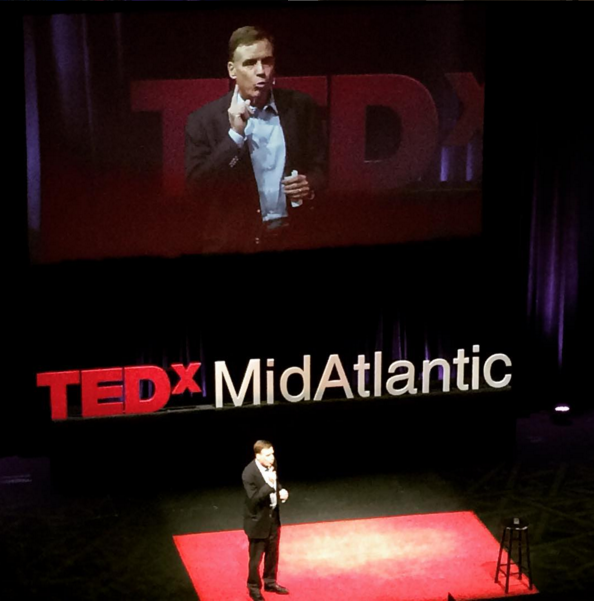 I am a big fan of TED Talks, and I have highlighted some aspects of them in previous articles such as The Top 10 TED Talks for Lawyers, Litigators and Litigation Support and The Top 14 TED Talks for Lawyers and Litigators 2014. If you happen not to know what TED Talks are, they are simply short talks, generally combined with some visual support, that are sponsored by TED, a nonprofit foundation. TED Talks have become the gold standard for thoughtful, innovative presentations to lay people in many areas of endeavor. Last year, Vanessa Van Edwards, an expert on presentations and on human behavior, studied what makes a great TED Talk, and the results are a mix of fascinating and frightening for most people. I say frightening since many of these results fly in the face of the conventional wisdom. The speakers’ nonverbal body language is as important as what the speakers said. This finding is quite consistent with what Amy Cuddy found in her studies. Here however, study participants ranked speakers exactly the same whether the audio was turned on or not. That's right, what people said, did not particularly influence how much a speaker was liked. Remember a key difference here between a TED Talk and an opening statement. Jurors are asked specifically to make a decision about the facts and law - not only about whose message, style, and charisma they like best. The more hand gestures used, the more the speaker was liked. Specifically, lower ranked TED Talks had an average of 124,000 views and those speakers used an average of 272 hand gestures during an 18-minute presentation. Top TED presenters had an average of 7,360,000 views and used an average of 465 hand gestures. These first two findings point to a clear need to gesture more – but as Amy Cuddy tells us, it has to be authentic. This is no easy task, and practice is the only way to train yourself to be truly authentic. See, Practice, Say Jury Consultants, is Why Movie Lawyers Perform So Well and 3 Ways to Force Yourself to Practice Your Trial Presentation. Vocal variety generates higher charisma and credibility ratings. Speakers who appeared to speak from a script were disfavored, while those who changed pitch, altered pacing, and varied volume were rated much higher than those who did not. Smiling gets more likes. The more someone smiles in a TED context, the better they are received as a speaker. Does this translate to an opening statement? I’m not so sure. It would really depend on the subject matter I would think. After all, smiling during the recitation of a terrible fact pattern certainly will not be rewarded. However, on balance, where there is opportunity to do so, smiling will add to likeability. See also, Like It or Not: Likability Counts for Credibility in the Courtroom. Your first seven seconds determine how the rest of your message is received. Clearly, this is true during opening statement or even during voir dire. You will be judged by your opening line, how you deliver it, and your appearance. That snap judgment will likely color the impression of your message for the reminder of the case. Here's a great video from the study's author that adds color to this topic. Avoid hiring a distant #2 jury consulting or litigation graphics firm, run an A2L conflicts check now - free and confidential.